The Wizard Duo Cover is the waterproof component of the All-in-Two cloth diaper system. 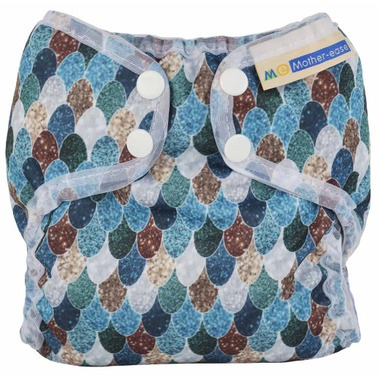 Lightweight, waterproof and available in Newborn, and One Size to provide a leak-free barrier between your babies cloth diaper and their clothing! The absorbent Duo Insert snaps into the Wizard Duo Cover using 6 snaps. This ensures that the Duo Insert provides a full coverage, to keep the mess where it needs to be and allowing you to reuse your waterproof cover 3 to 4 times before laundering! A double row of waist snaps for a secure, tamper-proof fit. Fully elasticized legs and waist, for a comfortable stretchy fit.